... which is this bit of typographic malignancy. Who gives up the former for the latter? Who!? 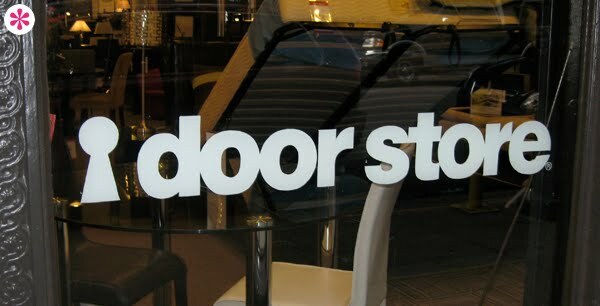 The same folks who named their furniture store the Door Store, I guess. if they are going to do that to their (perfectly fine) logo, they should at least have gone whole hog and really ripped off the Twilight Zone - or more specifically, the Twilight Zone parody from Futurama, "The Scary Door". 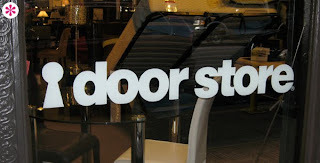 I might even buy something from a store like that.